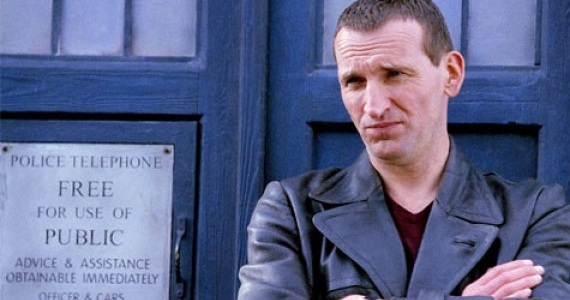 Sorry Whovians, but Christopher Eccleston will not be appearing in the Doctor Who 50th Anniversary Special. The actor apparently met with showrunner Steven Moffat to discuss a role in the upcoming special but after a few meetings, he has decided to pass. “Chris met with Steven Moffat a couple of times to talk about Steven’s plans for the Doctor Who 50th Anniversary episode. After careful thought, Chris decided not to be in the episode. He wishes the team all the best,” said a BBC spokesperson. Though disappointing, the news shouldn’t surprise anyone as Eccleston has, since departing the series after one season, spoken of being at odds with the creative team at the time, and not greatly enjoying his tenure with the series. While it would have been nice to have him back for the special, it was always a long shot. That being said, there are rumours of old footage being used in the special to incorporate previous Doctors, so we may still get a glimpse of Eccleston. I guess we’ll have to wait and see. For those who don’t remember, Eccleston played the ninth incarnation of the Doctor way back in 2005 when the BBC revived the series. He was widely acclaimed, playing a large part in successfully reviving the show for both old and news fans alike. It is unfortunate that he won’t be back but at least we’ll get to see his successor, David Tennant, return, which was confirmed last week. As for additional doctors, no word on anyone else returning has been revealed just yet but I’m sure that Moffat and co. are in talks with at least a few former doctors. As always, we’ll keep you posted when we hear more. The Doctor Who 50th Anniversary Special airs on November 23rd, 2013. Will you be watching? Who else would you like to see brought back? Are you upset that Eccleston won’t be involved? Let us know in the comments below. We’d love to hear from you.